Cliff founded DRS Dispute Resolution Services in 1990, and in 2010 merged DRS with ADR Chambers, the world’s largest provider of alternative dispute resolution services, processes, and training. His focus areas are insurance litigation, professional malpractice, class actions, defamation, sexual assault/abuse, workplace disputes, and community based conflicts. Cliff’s cases have included very high profile and delicate litigation matters that have been successfully resolved away from the public eye. Cliff also has considerable mediation advocacy training experience and is a respected member of the North American mediation community. He has been an international guest lecturer/speaker at many universities, organizations, and public forums across North America and Europe. 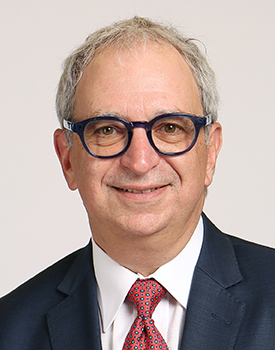 He co-managed the development of a mediation advocacy program for the American Bar Association National Institute, which has since been taught to more than 1000 lawyers and mediators throughout North America. As a past co-chair of the American Bar Association, Dispute Resolution Section’s Mediation Section, Cliff was instrumental in launching the inaugural International Chamber of Commerce Commercial Mediation Competition in Paris, France, for national and international law schools. In 2008, Cliff co-founded the Canadian National Mediation Advocacy Competition and the subsequent International Mediation Advocacy Competition in 2010, both of which encourage law schools throughout the world to teach enhanced mediation skills. Cliff is a Founder, Past President, and Distinguished Fellow of the International Academy of Mediators, and past Chair of the ABA National Institute on Advanced Mediation and Advocacy Skills Training. From 2013 through 2017, Cliff has been the Chairman of the YouthdaleTreatment Centres Foundation. Youthdale provides comprehensive, integrated mental health services to Ontario children and their families.